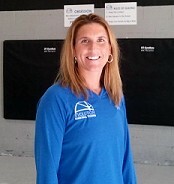 Mandy Ronay, co-founder of Evolution Basketball Training (www.evobball.com), will be holding FREE skills training – known as “Matrix Training Day” – for any interested players in Grades 5-8 on Saturday, September 10 who sign up via the Matrix website. Each age group will have a two-hour block where they will focus on a variety of fundamental basketball skills. Mandy will lead this training with support from other Evolution trainers and Matrix AAU coaches to ensure a low player-to-coach ratio. This will be a great opportunity for players to get some focused, no-cost skills training early this fall to shake off any August rust. Enrollment is limited to 30 players per age group, and players must register online, so we strongly encourage you to sign up as soon as possible to reserve your daughter’s spot! Click here to go to Matrix Online Registration. NOTE: Even though there is no cost, you must complete all steps of the registration process to be registered. Time conflict? Request alternative time slot. If you have a conflict with time slot assigned for your daughter’s grade, but would still like to attend, register online and then send an e-mail to to request an alternative session. In the e-mail, be sure to include your daughter’s name, grade and the request for an alternative session. Coach Butler will then respond and let you know if a slot in the requested time frame is workable. Last Update: Friday, September 9, 2011 at 2:30 pm.